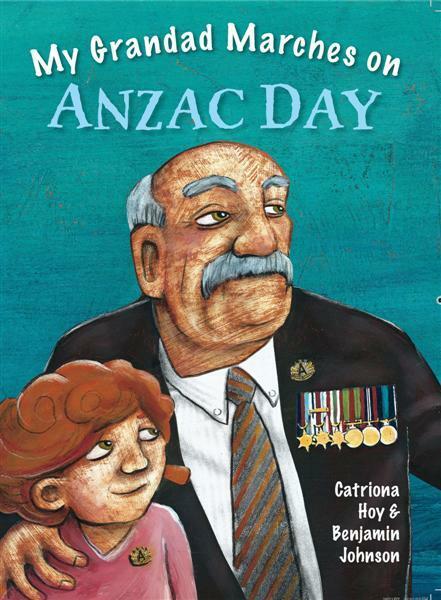 My Grandpa Marches on Anzac Day: Recognizing Anzac Day is an important part of my program each year and needs to be planned and delivered to young children with sensitivity. 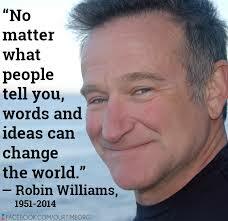 Using picture story books is the most appropriate way to encourage discussion. This is a wonderful picture story book which I use every year. 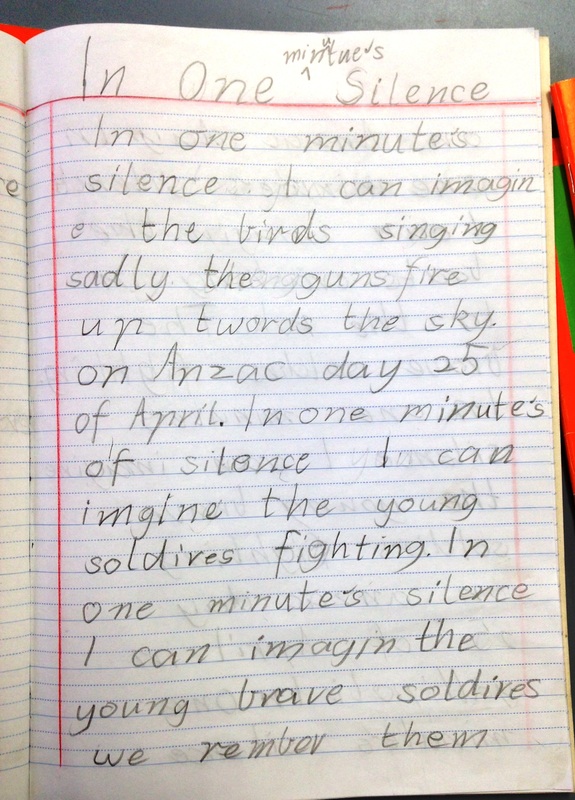 The wonderful illustrations inspire our display. 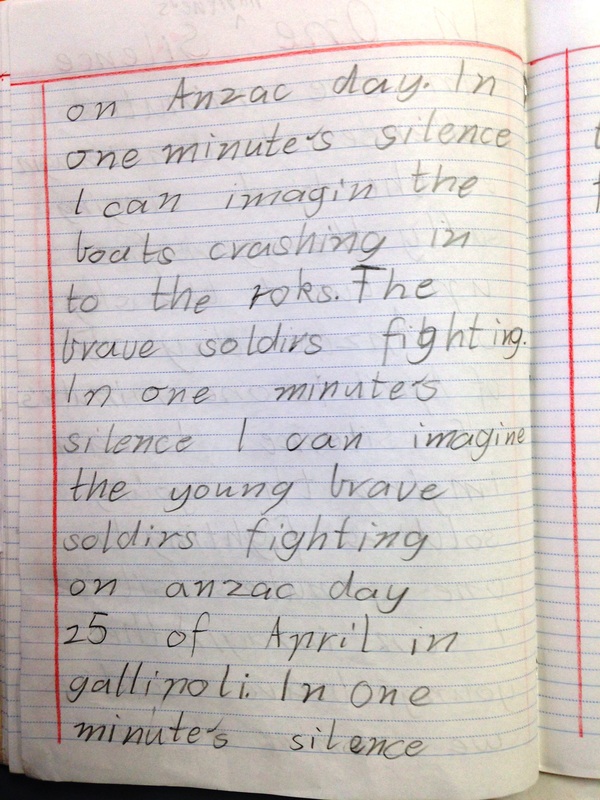 This year two children drew a large portrait of an Anzac soldier with other students painting. We made poppies in our classroom with my student’s Grandparents or special friend who visited school last week. 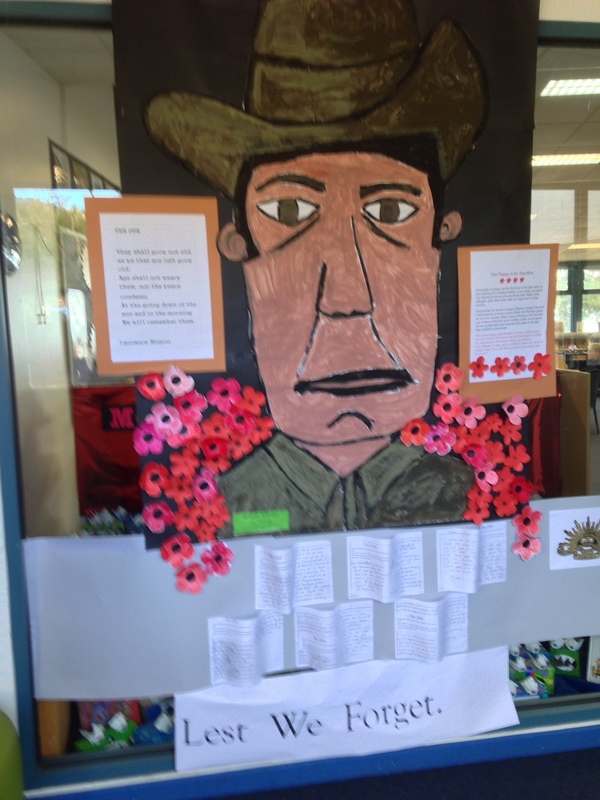 My students then placed their poppies with their special adult onto our display. 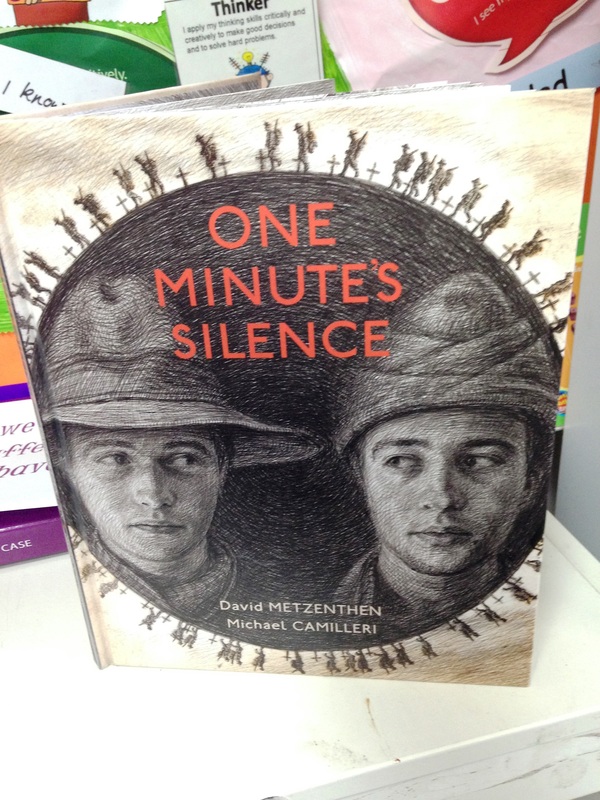 One Minute’s Silence: This picture story book is new to me. I decided to use this book as a mentor text for a piece of writing. 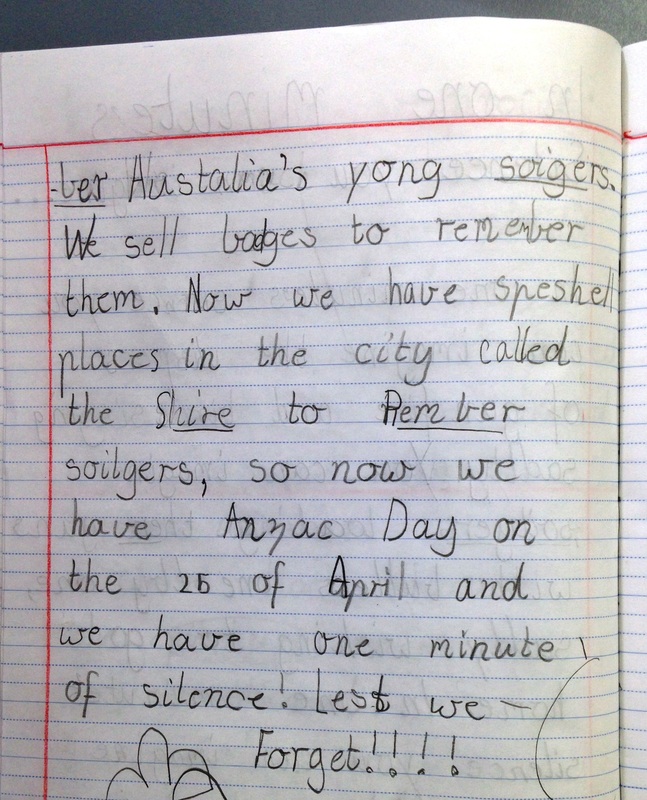 The children were given the heading ‘In one minute’s silence … I’ve chosen a few to share here but each student’s response was very special! These are rough drafts. 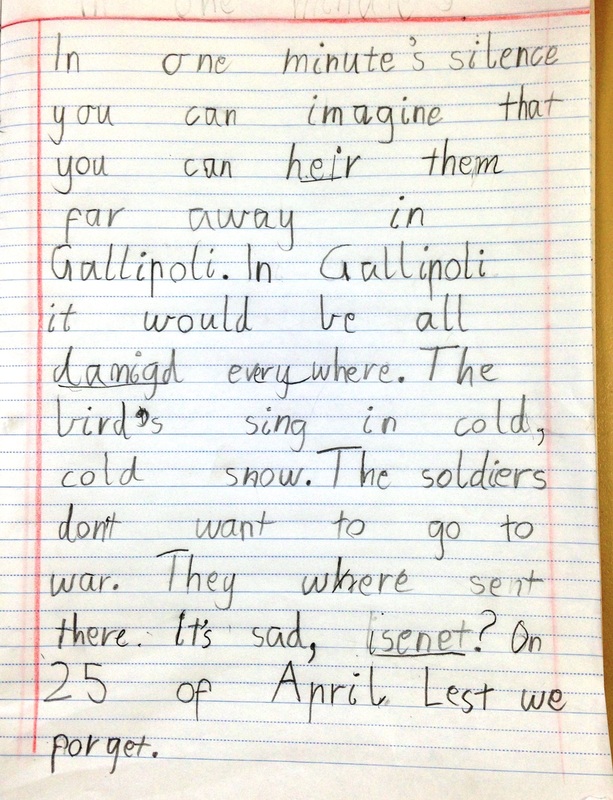 My students are responsible for correcting their writing. 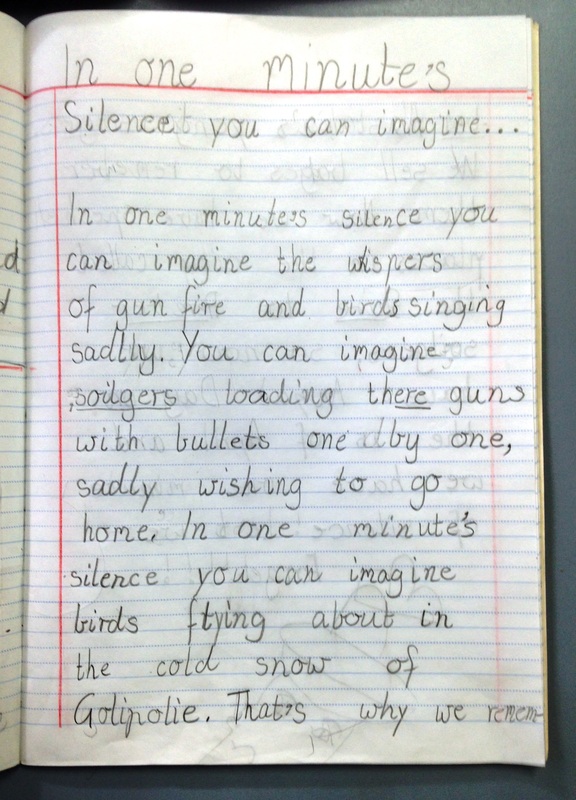 If required, I will model back their whole piece of writing. Yes, it takes time, but the author needs to have control and ownership at all times.